Are you looking for an excellent smartphone under 7000 that has all the cool features and using which you can take great pictures, play games and easily do all of your normal day-to-day tasks? But you don’t have enough budget? Don’t you worry! The year 2018 has seen its fair share of budget smartphones, that are not only within your budget but are really good in terms of look, features, and performance. Though most of these budget-smartphones are from the well-known brands, there are a few options from some new brands as well. Now when you will sit down to buy a budget-smartphone, you will be amazed to see how many options there are for you to select from. A buyer tends to get confused when going through similar spec sheet offered in the best 4G smartphones under 7000 Rs. But no need to worry, because at topbestof we always give the most accurate and fitting list for every budget, utility, and requirements of a person. So, read this list until the end if you have any doubt concerning which is the best budget smartphone under 7000 Rs in India. How did we prepare this list of Top 5 Best Smartphones under 7000 Rs in India? The Redmi 6A is Xiaomi’s most budget oriented offering of the year in the budget smartphones and is the first device to be launched in India by Xiaomi with a MediaTek processor after the resolution of the lawsuit with Ericsson. The Xiaomi Redmi 6A is another budget phone from the Redmi family and it does not disappoint for the most part. With great battery life, Redmi 6A will become the instant favourite of people searching for a low budget smartphone. Redmi 6A has 5.45-inch HD+ screen size with the screen resolution of 720×1440 pixel along with the PPI of 295 pixels per inch and about 18:9 aspect ratio. Though it is made up of plastic, it still feels quite solid. The curved edges help in providing a nice grip. The screen is slightly raised making the phone look slimmer and sleeker. Redmi 6A comes with the new MediaTek Helio A22 SoC. It’s a 12nm quad-core chipset with two performance cores clocked at 2.0GHz. Thus it handles the day-to-day tasks quite efficiently. The 13-megapixel resolution camera provides a great quality work. The camera has some good features like standard HDR mode, low-light enhancement, burst mode, etc. The pictures taken in the good lighting conditions were quite sharp with crisp detailing. The 5-megapixel front camera has seen some improvement and is quite good. The selfies taken in good lighting conditions were nice with sharp colors and clear details. The new features like Portrait Mode, Beautify, Face Unlock are some great money-value features. Due to the small chipset, the 3000 mAH battery lasts for over a day and a half on light usage and a full day on heavier usage. Redmi 6A sports a dedicated SD card slot which is a very good inclusion allowing storage expansion up to 256 GB. There is no fingerprint scanner in Redmi 6A. Also, there are thick borders around the screen which makes it look like older smartphones. The speakers are placed at the back hence the sound gets muffled when playing anything in the landscape mode or if the phone is placed face up on any surface. Both the front and camera does not click good pictures when in low lighting conditions. Due to insufficient RAM size, the MediaTek’s Helio A22 causes the phone performance to get a bit sluggish. Read our full Pros & Cons of this phone here- Xiaomi Redmi 6A Pros and Cons. The Lenovo A5 is the only smartphone on our low budget smartphone list that provides with an excellent battery and overall great user experience. This is one of the most recommended 4G smartphones to buy under the price of 7000 Rs. Lenovo A5 smartphone was launched in June 2018. Lenovo is trying its best to compete with the other giants in the market like Xiaomi, Asus, etc. and so far, it has done a great job. Lenovo A5 is for the people who are looking to get cool features with a nice look and great battery life. The 5.45-inch display along with 1440 x 720 high-resolution 295 PPI and gives vivid visual experience with high clarity pictures. The display has good pixel density with HD definition. Lenovo A5 comes with both the Rear fingerprint scanner and Face unlocking feature which is not available in most of the smartphones within this price range. A 3GB RAM & PowerVR GE8100 graphics processor ensures that the phone runs smoothly and even the most memory intensive applications run with no signs of lag. Lenovo A5 has MediaTek MT6739 chip that comes with a 64-bit CPU architecture and a Quad-Core processor. It has the standard 13MP camera with LED flash. The back camera is pretty good and clicked quality pictures considering the price range. Though the pictures were great in good lighting conditions, even in the low light, the camera works quite well and takes clear pictures. The 8MP front camera is quite good as well and you can click nice clear shots with sharp details. Features like Panorama, Beautify, Autofocus and Face Unlock are some great money-value features. It comes with a dedicated Micro-SD slot which allows storage expansion up to 256 GB. The 4000 mAH battery easily lasts up to 30 hours. There is no gorilla glass for protection and hence you might need to add tempered glass for the protection of your screen. Though the phone comes with the 8MP front camera, it still needs improvement when taking pictures in low lighting conditions. Asus Zenfone Lite L1 has an amazing screen resolution that provides for the better user experience. The screen shows vivid colors and has good clarity with the resolution of about 1440 x 720 and the PPI of 295 pixel-per-inch. You are going to love watching the videos and movies on this phone. With the rise of the budget smartphones in the market, Asus has stepped in with Asus Zenfone Lite L1, to give a healthy competition to the other brands. And so far, the smartphone has proved to be a good candidate and have made to our list of top smartphones under 7000 Rs. Asus ZenFone Lite L1 features a 5.45 inch HD+ IPS LCD Display that provides vivid color and sharp contrast for a much more immersive viewing experience. The 13 MP rear camera comes with different modes like Auto, Beauty, Pro, Super Resolution, GIF Animation, Panorama, Time-lapse etc. The picture quality, when taken in good light, is quite good with clear detailing. With the 8MP front camera, the pictures captured are quite good and comes with Auto, Beauty, Portrait, Selfie Panorama, GIF Animation modes for Selfies. Zenfone Lite L1 has Qualcomm Snapdrogan 430 Quad Core processor which is a good processor for this price range and is powerful to run small games and day-to-day tasks. The 3000 mAH battery easily provides the backup for one full day which is quite good at this price range. There is no protection for Display which is not good as it leaves the screen quite vulnerable. When running the heavy apps on the device or if many apps are opened in the background, the phone starts heating up a bit. It also starts slowing down a bit. Redmi 5A is the most budget oriented smartphone in our list of top budget-smartphones and is basically the top choice of people looking to buy a mi phone under 7000 Rs. The Redmi 5A is another budget phone from the Xiaomi family that offers many amazing features and is a great choice if you are looking for a smartphone with decent battery life, nice camera and a good day to day performance. Redmi 5A is completely made up of plastic with a metallic finish to it and is available in two colors: gold and dark grey. Both the color looks amazing but the grey one is better. The 2.5 D Glass on the front makes sure that it has a good grip. Redmi 5A features a 5 HD Display that provides vivid color and sharp contrast. The smartphone has a resolution of 720 x 1280 Pixels with a PPI of 296 which is good. It has Qualcomm Snapdragon 425 processor, with four cores clocked at 1.4GHz and Android 7.1.2 Nougat with 9v of its custom MIUI skin running on top. Day to day tasks such as web browsing, social media apps, and messaging was able to run smoothly. The 13MP camera is quite moderate and clicks good clear pictures inadequate lighting. The pictures taken with closeup are good with clear detailing. The 5MP front camera comes with Pro beauty mode and a Smart beauty mode. The Pro beautify mode provides you with the options of ‘Slim’ and ‘Skin’. The camera is good for taking selfies in good-lighting conditions. The 3000 mAH battery is great as it lasts a little more than a full day while using the phone normally for day to day task. There is a dedicated SD card slot. An interesting feature turns out to be the IR emitter present at the top of the device which can be used to control household appliances. Both the front and the rear camera does not click good pictures in low lighting condition. The pictures lack details and colors and are not that vibrant. There is also lots of noise when capturing the pictures at night. When switching between apps it tends to shutter and lag a bit. As the speaker grill present on the lower back of the phone that suppress the sound when placed face up on any surface. No screen protection is provided and hence it will be required to place a tempered glass on the screen for the safety. 10.Or E has amazing battery life. Its 4000mAH battery easily lasts for more than a day, even after heavy usage. And with the normal usage, its battery lasts for almost two full days! This is only Smartphone in this list which is having Full HD display. 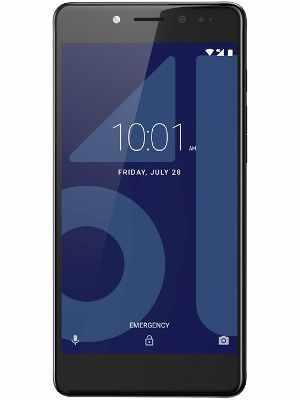 The 10.Or E launched by Tenor, a new brand that has quickly spread out in the Indian market and have managed to give a competition to many smartphone giants, is a great choice to buy if you are looking for a good smartphone under Rs. 7000. But being an online-only brand has a few disadvantages, read our detailed pros and cons of it to understand better. 10.Or E comes with the fingerprint scanner that is really good as many smartphones at this price range does not include a fingerprint scanner. 10.Or E features a 5.5 inch Full HD Display that provides vivid color and sharp contrast. The smartphone has a resolution of 1080 x 1920 Pixels with a PPI of 403 which is good. One good thing about 10. Or E is that it comes with the Gorilla glass, hence you don’t have to worry about putting the tempered glass on your smartphone. 10.Or E has an amazing battery life that lasts for more than a day and a half at normal usage and that is quite amazing at such a price range. With Octa-core Snapdragon 430 processor and 3GB RAM, this smartphone is more than capable of performing the day to day task without any problem. 10.Or E comes with the 13MP rear camera, using which you can click good pictures in the adequate light. The details are nice, the colors are well balanced and the dynamic range is fairly good. The 5MP front camera is good too and captures nice pictures even within the indoor lighting. The power button is above the volume keys and hence it creates a lot of confusion for the user and is very uncomfortable to use. Though the performance of 10. Or E is good enough, visible lags are encountered while performing multitasking like switching between the tabs. The touch response time is a bit delayed as well. Again, we cannot expect much at this price range. So this was the List of 5 Best Phones under 7000 rupees in India 2018, we hope you liked it and will follow our guidance. If you still have any doubt then don’t hesitate to drop a comment. What do you think about our list of “Top 5 Latest Mobile Phones under 7000 Rs in India 2018”? We hope you found this article helpful and informative. Comment down below how you thought this article was as your feedback is very important to use. If we missed a phone that you thought was worth mentioning then please bring that to our notice as we always welcome improvements from all angles, and our ultimate goal is to provide you with the best content. Also, don’t forget to share this List of Top 5 Best Phones in India under 7000 on Social Media so that others can sort out their confusion and buy the phone that’s worth their money.